I bought this hat for my daughter after she begged me incessantly and, once it arrived in the mail, I couldn’t resist trying it on. I’ve seen lots of people wearing cabby hats this season and I love the look of them. I’m not 100% certain that I can pull it off, but it was fun to borrow it for the day to test out the trend. Every once in a while, when I feel myself playing it too safe or getting stuck in a rut with my style, it’s good to bust out of my comfort zone and try something new. I’ve always believed that not every trend will work for every woman, but if there’s one you are interested in embracing, don’t worry about what other people will think & just go for it! Both this sweater & these jeans are recent purchases that I couldn’t wait to share with you. I just love this rich rust color for fall and the knit is super soft & comfy. Even though the sleeves are dramatic, they are actually a shorter length so they don’t get in the way as much throughout the day (though I wouldn’t recommend trying to reach across the dinner table with them). 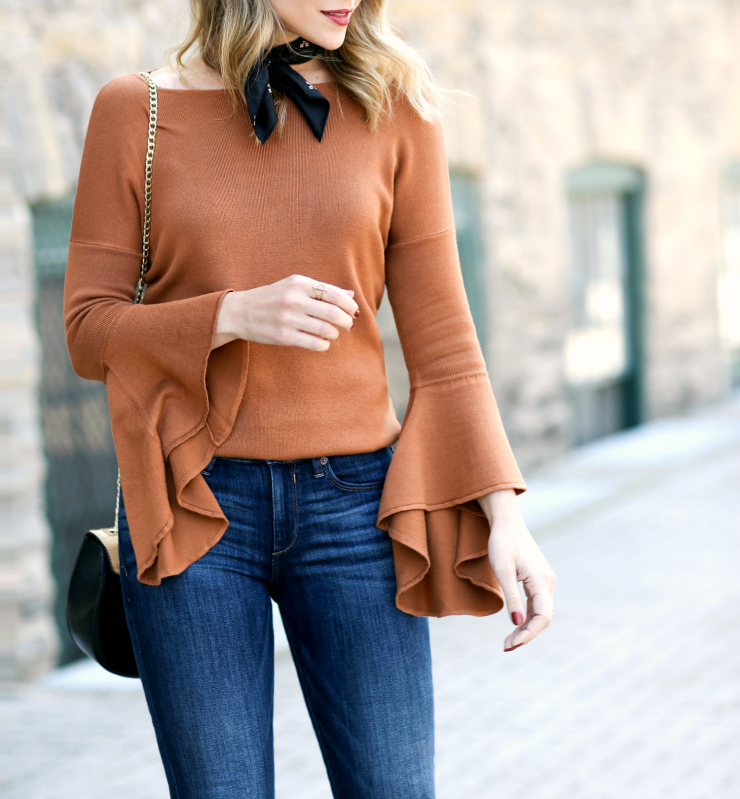 Other knitwear I’m loving: this ruffle-sleeve pullover & this tie-sleeve sweater. These jeans are a great replacement for my 5 year old Rockstars that I finally had to retire. I found that these run true to size – they might seem a little snug when you first put them on, but they do stretch some with wear – they also come in long & short (for reference, I’m 5’8″ and wearing the regular length). Right now, Express is offering B1G1 $9.9o on their denim (today only! ), so it’s a great time to give them a try – check out more of my fall favorites below! 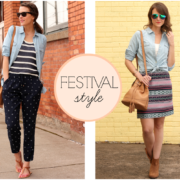 You have styled this outfit to perfection! Such a great look to enter the Autumn!! I love your boots and baker boy hat! I love that the sleeves don’t get in the way! As much as I love bell sleeves thats the annoying part of them lol! Those jeans do look incredible on you! When did you purchase the sweater? The color you have does not appear to be an available option. Sorry about that Sarah – I bought it last week! It might still be available in stores in this color! Fab outfit!! I bought a couple hats like this recently, happy to see a great outfit styling one!